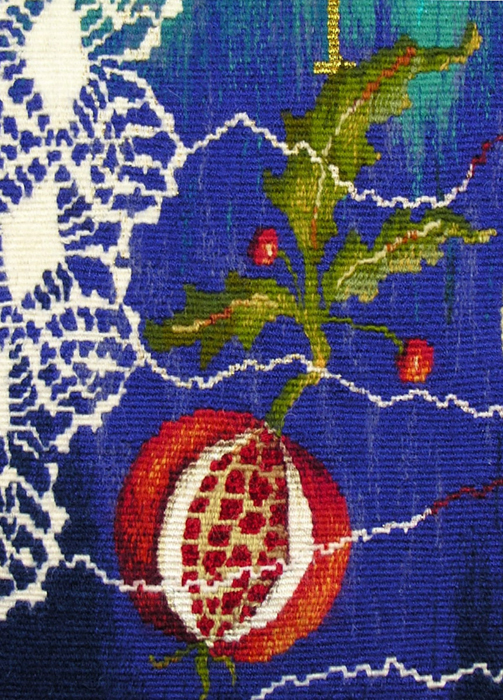 How did you discover tapestry? "Promethean Dreams," 2005, 22" x 16"
"DisConnect," 2011, 32" x 48"
“Repatriation,” 2011, 19" x 25" x 1/5"
"Winter/Summer," diptych, 2011, each panel 20" x 25"
The recent artworks of Linda Wallace are part of her ongoing exploration into the birth, life, and death cycle. In the Infertility Series there is a strong element of loss and absence, both literally and figuratively, the cycle of creation, destruction and the possibility of rebirth. Absence is usually regarded with negativity. 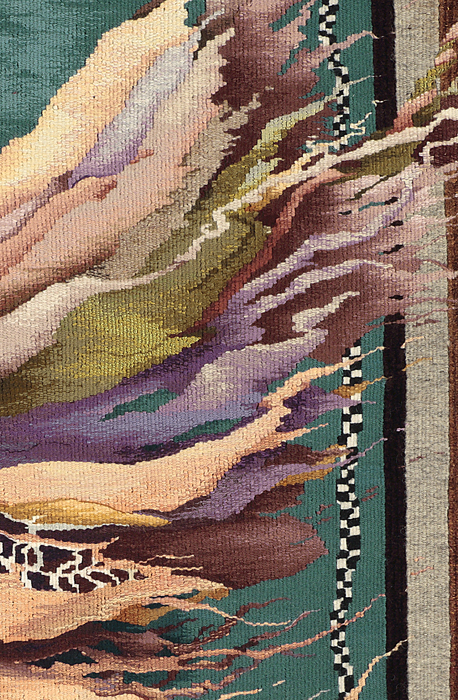 Un-weaving a tapestry, or partially destroying it is regarded as counterproductive, but Wallace has woven the tapestries for the sole purpose of burying these tapestries, disinterring them, and considering them as textile objects. 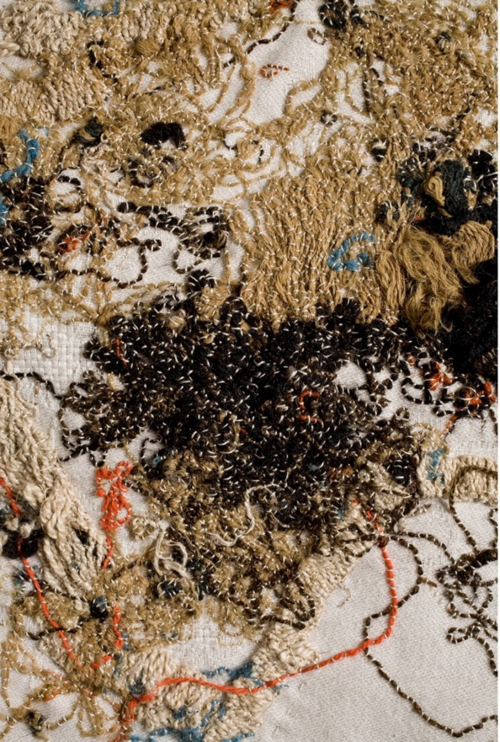 The making of these textiles creates a time and space for re-interpretation: a meditation on weaving and stitch, destruction, absence, remaking and time. 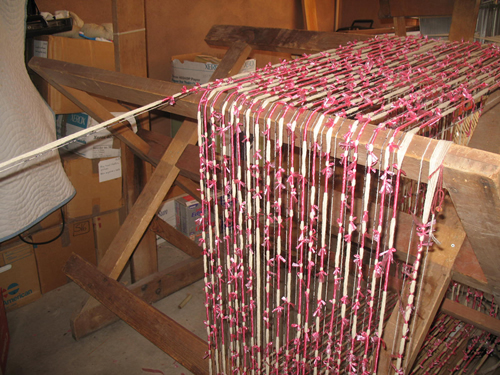 Many weavers experience a Penelope moment, and have had to un-weave that which they have spent hours weaving; it is a well known technique. 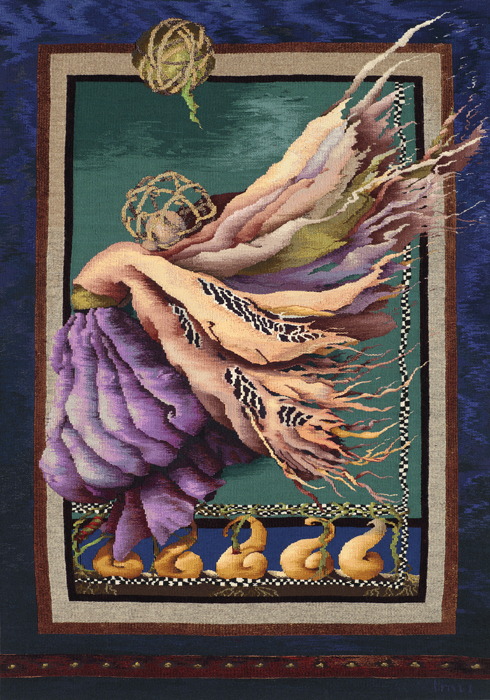 Few tapestry weavers would submit their work to the uncontrolled un-weaving wrought by earth, rain and sun – nature herself – resulting in an unravelling that exposes the warp and leaves fragments of weft. Yet everyday life brings wear and tear, unravelling everything in the natural world. 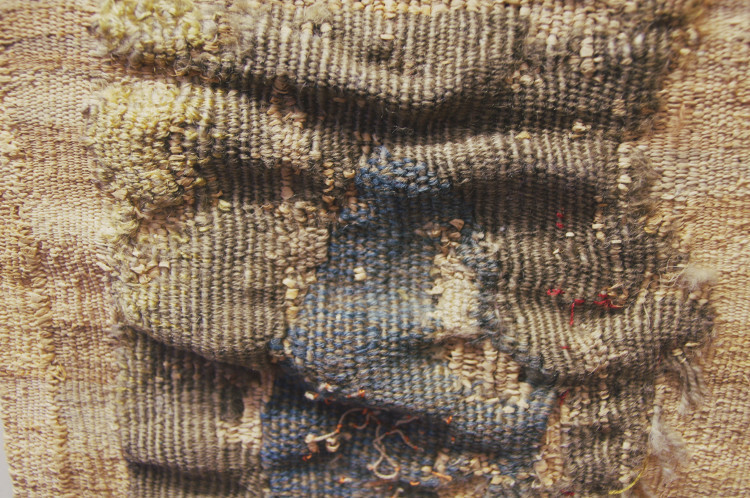 In these works there is often more space than textile, more stitch than tapestry leaving the viewer to guess at the time implied in the natural deterioration of the tapestries, the careful layers of stitching, and the remaking/repairing of the original object. Much as we remake ourselves and the world. 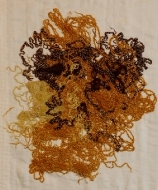 The space between the threads change, evolve, Threads disappear, disintegrate, disconnect from the original fabric. 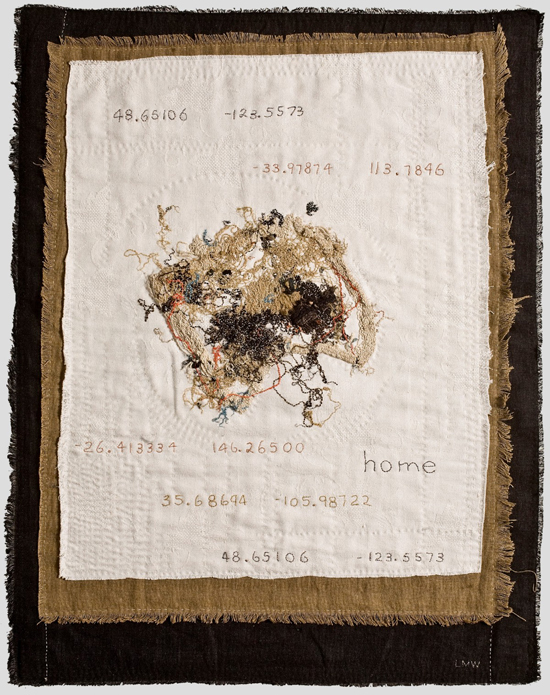 Wear and tattering are part of life; mending tells a story of care and re/evaluation, time, stitching, weaving and drawing are, for Wallace, an act of understanding the fragility of life, and a way of repairing. The Bird series continues to explore the theme of potential change and loss- the birds ask us to pay attention. The background fabric that grounds the birds changes, the underlying structures evolve, fray and unravel, revealing new relationships. 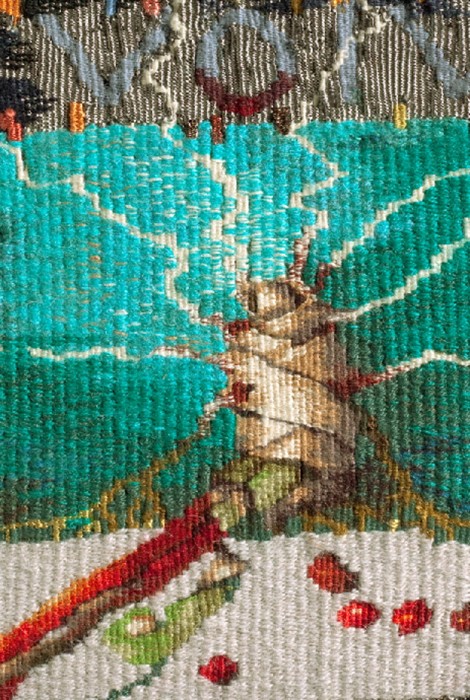 The thread continues even if perfection is lost. The series of textile works lead the viewer into looking at the drawings with an eye more attuned to the possibility of textiles as a metaphor. These drawings are used as designs for future tapestries as well as ways of contemplating Wallace’s chosen theme. They feature cloth wrapped around hidden objects – shrouds? Swaddling bands around the newly living? Do they protect, or conceal? Do the roots in ‘DisConnect’ pierce the life force from above, or grow from the life force below? Needles are usually regarded as reparative. The needle-like objects seem to be invasive in the drawing ‘Beware of Petards’ to me, questioning the validity of repair. Can we repair everything? Each graphite mark accumulates over a period of time, responding to what has gone before. 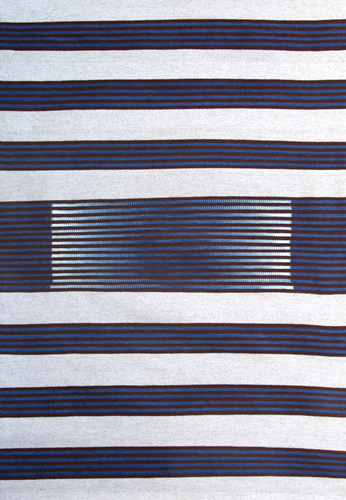 These images are mysterious, sometimes ambiguous, speaking of time, cloth and women’s work. They lead the viewer to discover their own narrative. 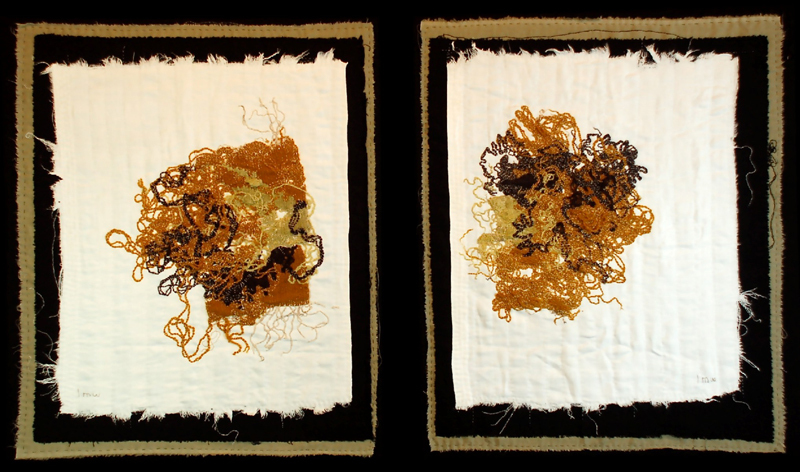 Penelope’s continually woven and unwoven shroud for her lost husband; the weaving, decay and the stitching of layers; the construction /deconstruction/reconstruction of the tapestry fabric and the intricately wrapped fabrics in the drawings are as much about process as image. 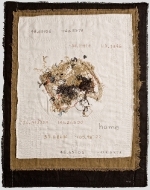 A continual telling and retelling not only the processes of woman’s daily and monthly cycles but also the growth, death and decay of life, and above all care of that life: care in the obsessive stitching of the fragmented tapestries, stitching down the threads to make anew, to redefine; care through heeding the birds warnings, and care in the drawing of the intricate wrappings of both textiles and plant like tendrils in the drawings. Do we care enough? In an increasingly fragmented and disconnected world is it mending that is needed, or reparation through repair? Do we take enough time to think about what we are doing and why, and how we approach life, death and the spaces in between? 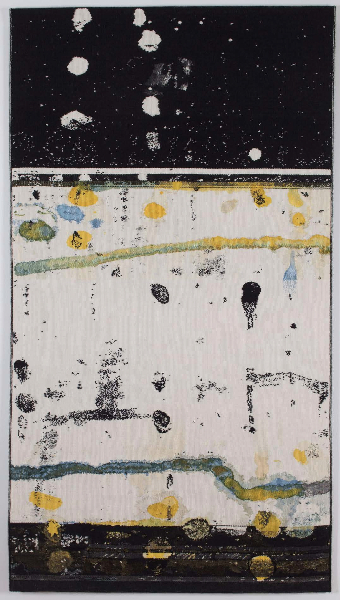 These works of art invite the viewer to look at the material world in other ways rather than just a representation, as a way of engaging with a process of making and unmaking, repair, wrapping, protecting and concealing, of seeing things differently; to look at the cycle of life with new awareness. 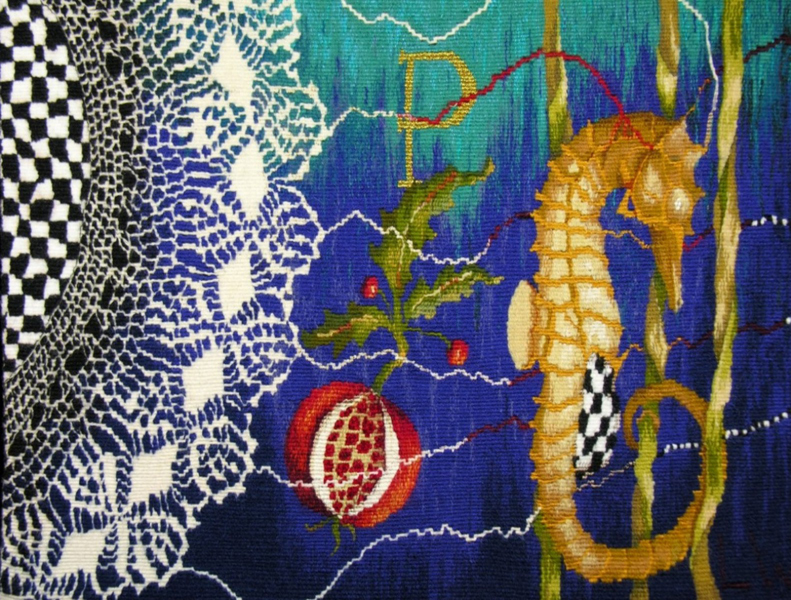 Dorothy Clews lives, weaves and gardens in southwest Queensland, Australia, where the fragile landscapes give inspiration for her tapestries. Get exclusive benefits and more! Interested in helping? We have many positions available. 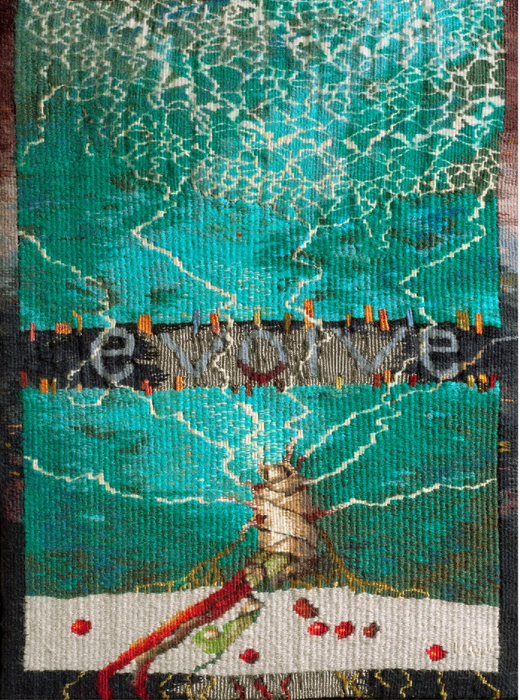 About Us – Contemporary Tapestry! Congratulations to all the ATA Emerge Award winners. Click here to search our site. ©2019 ATA. All rights reserved. Site by Say This Say That.